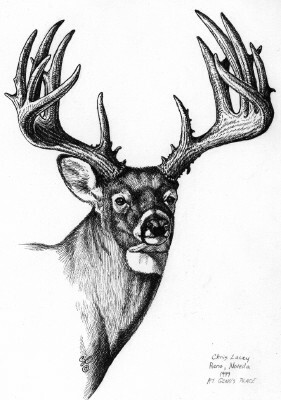 The Story Of The New #1 Safari Club Whitetail Buck For The Northwest. In the spring of 1998, I received a call from a hunter, named Gary Jameison. 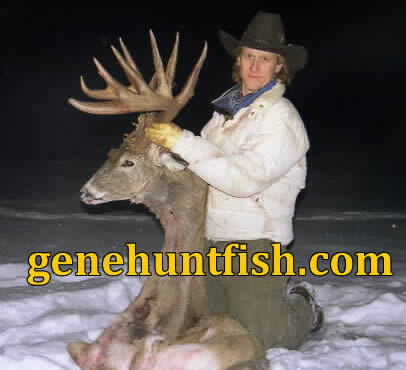 From Honesdale Pa., about a possible whitetail hunt in Alberta. We talked for about an hour about how we would hunt and where. It was a hunt that neither of us had planned or will ever forget. 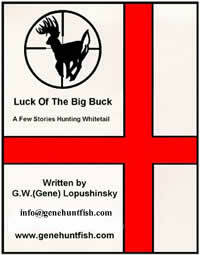 A few days after our conversation, Mr. Gary Jameison called back to book the hunt, for the fall season. 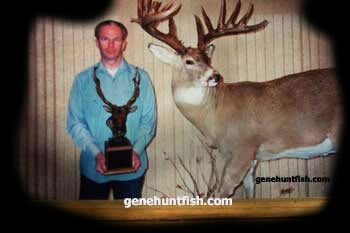 He had been on half a dozen hunts in Alberta and had not yet seen a good buck on any of the hunts. He was still very upset with all the Outfitters he had booked with, and was still hoping for a chance, at a good Whitetail Buck! As we talked about setting the dates for his hunt, I asked if he would book his hunt for two weeks, and asked him to "TRUST ME". 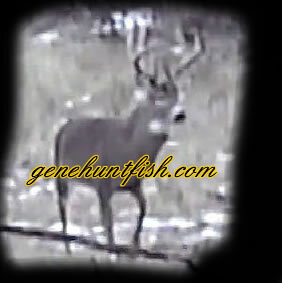 And,I would personally guide him ..... and if he did not see a good buck on the hunt, he would not have to pay me. What did I say?? Never had I ever offered this type of deal, to any other hunter before in all of my guiding years. For some reason I wanted this hunter, who I did not know from Adam or Eve, that some us in the business were for real, and that I was a man of my words. He agreed and we now had a deal and now the ball was in my court to prove it. The hunt was over 7 months away, and not one day went by that I was worried about the it!! A matter of fact, I could not wait to get on with the hunt. 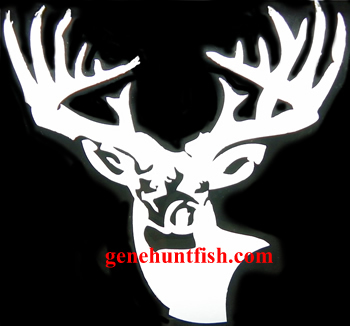 For some reason, I felt that Gary and I would harvest a good buck and some. When the day Gary flew into Edmonton, Alberta, I was full of excitement and ready to go, even though Gary was still half a sleep from the plane ride. We loaded his gear into the truck and headed for camp. Gary was very calm and had only the hopes to see a Good Buck on his hunt. I told him at least a dozen times on the way to camp, he was going to get his buck and have a great hunt!! Whether He believed me or not, I was not worried about it what so ever. Just as I had finished saying this, a real good buck crossed the road in front of us. I stopped the truck and said to Gary, "Well,............ you saw your buck now !!..... we can head back to the airport if you want" with a chuckle. He was now very excited, and said he hoped also that he would also like to harvest a good buck. I told him, in all the years of guiding, very few of my hunters never went home without one, and started heading Down The Road Again. When we finally entered the lodge, everyone was already their, and were wondering what took us so long. We told everyone, that we had some last minute shopping to do, as I winked at Gary. They all laughed, and continued with what they were doing. Bags were being unloaded, gun cases popping open, and the stories of previous hunts started to be told by all. It was a good atmosphere, all were in high spirits and were also, consuming some too. As the clock struck 10 bells, and dinner finished, all were heading for bed. Some a little slower then others, but by 11 o'clock, the snoring was loud and clear, throughout the lodge. It only seemed that I had just laid down to sleep, and the alarm clock was screaming in my face. It was just after 5 a.m. and the lodge was coming alive. Everyone was hustling for the bathroom, the kitchen, and getting ready for breakfast. This would be the daily ritual for the next two weeks. Even the stories were getting better and bigger. Everyone was seeing deer everyday, but all were holding out for A Real Good Buck. It seemed like no one wanted to be the first to shoot,... and to me, it did not matter. Why shoot a deer, if you did want it, or if it was not what you were hoping for. I have more respect to any hunter that hunts, then kills. And my hunter Gary, was that type of hunter. He would either go home with a good buck, or not at all. Throughout the hunt, Gary and I saw several good shooters, and I told him that we would do better, so lets keep looking. He was starting to think that I was trying to get him a buck, that did not exist. 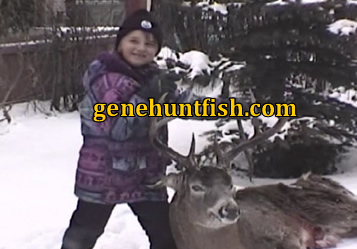 I kept telling Gary, we have better bucks out here, and you deserve a real keeper. Gary and I throughout the hunt, had great discussions about life, women, hunts, and even music. I think I wore out all my country music tapes with him, especially Patty Love Lace, who at that time was "Red Hot"! How did I know this, Gary finally asked if I had any other music to play. Never thought that would happened. On the last day of the hunt,.............. sitting at the breakfast table, Gary was starting to wonder if he should have pulled the trigger on a couple of those bucks,........... I told him not to shoot. I just looked at him, and said, lets go hunting, and today will be the day!!. He grabbed his gear, like every other day, and we were off again. We had gone almost all day without seeing any good bucks, and now Gary was talking about how much fun he had and also wanting to come back next year, if possible. I told Gary, he was welcomed anytime, and that he was truly a hunter that had paid the price, more ways then one. We all decided to hit the road, and check out a few more fields, before the sun would set into the western horizon. As we were pulling out of the field, Gary started to question himself, and I said, "Well, let's go over to where the buck was standing, and take a look to see if there was any sign of blood or where the buck went". 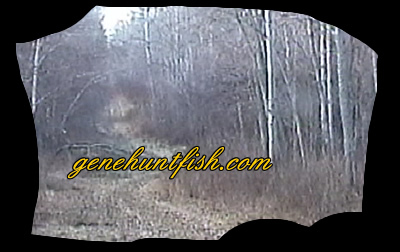 We drove down to the spot and Gary went over to where the buck was standing, and yelled out, "There is blood"!!!... I then yelled back and told him to follow the tracks. He did for a bit, and then said he could not see anymore blood. I called him back to the truck and said, " The bush is only a couple hundred yards wide, and that he should go to the opposite side and watch, while I made a push towards him, while following the Buck Track. I told him that maybe the Buck might be still close by. He agreed , and I waited until he was around the other side of the woodlot, before I started to follow the track. As I followed the track, I could see blood. Why Gary did not, I do not know . Maybe he was just worn out, tired, and did not really look, very carefully. I yelled out to Gary that I had found more blood and to be Ready. As I went another fifty yards into the bush, I saw something in the snow sticking up. I looked with my binoculars, and I could see a massive buck antler standing straight up into the sky. There was the Buck!! I yelled out at Gary to come back to the truck. He asked why, and I told him, that he had missed and the blood was from a coyote feeding on a rabbit. Gary had shot the Buck, and I wanted him to be the first to pick up the Big Buck. Plus I wanted to tease him........that he needed to get some new glasses for next hunt. When he got back to the truck, I started to laugh at him. He was not sure why, But I said to him, let me show you where the blood came from. I told him to bring his gun, just incase a coyote was still feeding on the rabbit, and to shoot the coyote. He did not really want to, but I convinced him to do so. When we got to the spot where I had stopped and seen where the buck was down, and told Gary to go a head of me, and I would video him shooting the coyote, if he was still feeding on the supposed rabbit. He gave me a weird look, and said alright, I will do as you say. I leaned against a tree to get a steady rest for the camera, and Gary proceeded. I told Gary to walk very slowly and quietly, and he did. As he got to about ten yards of the buck laying in about 2 foot of snow, he turned back at me, and shook his head. He yelled out at me and said, "Geno....Is that my Buck?" And I said, "If it is not, then it's mine.... if you do not want it!" He walked over to the Buck and picked up the deer by the antlers and started to call my name, several more times. I did not know how really Big the Buck was, until Gary turned the deer towards me. When I saw it, I started to yell out, "Gary I think you have a monster!" And he did. With the camera still running, there were two hunters jumping up and down like if they were on fire. Gary asked how big the Buck might score, and I told him at least "230 Points". He then collapse to his knees and was motionless and tongue tied for words. But I was jumping up and down and Thanking the good Lord for giving this wonderful hunter named Gary Jamieson, a World Class Whitetail Buck that very few will ever see in a lifetime of hunting. As I went over to congratulate Gary, big hugs and some, were being passed out!! When we finally dragged the buck out of the woods to the truck and had cleaned the game animal for the Butcher Shop, we found two bullet holes in the Bucks chest area. Not only did Gary make a spectacular shot, he had placed two bullets into the deer at over 600 yards with his 300 Winchester Mag. Now if that is not a great ending to a hunt on the very last hour, last day of the hunt, and season, this was another Great Hunt with another Great Person Out Hunting. So, if you think that a hunt can not end on the last day of a hunt with a bang, then you have never hunted as hard and with class, like Mr. Gary Jameison did. And on top, never once complained or told his guide, he was just a real good story teller. Thank-you Gary, I will Never Forget You or "THE HUNT", as Long as I Walk The Earth.